The section on Free legal aid Georgia State programs offers help and legal assistance for domestic violence victims and other criminal victims. Contact the office near you for more information and advice. The information and materials provided on this website are intended for your convenience and educational purposes only. 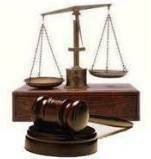 We have no relationship with the free legal aid programs and low-cost legal services featured on this website. Return from Free Legal Aid Georgia to Home page. Copyright © 2018 USAttorneyLegalServices.com - Free Legal Aid Georgia - All Rights Reserved.